The revolutionary new Domain Winslow Cool Color Series combines the large exposure and bold, wood-shake look of Domain Winslow. 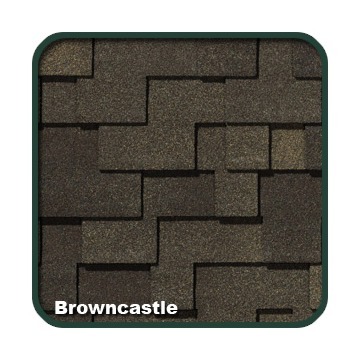 The Cool Color Series is the first energy-efficient “cool” asphalt shingle offered in a palette of rich, organic colors. These remarkable shingles slow the heat build-up for a more energy-efficient home. The Elk Cool Color Series is composed of highly reflective granules that bounce back the sun’s rays and more effectively release absorbed heat. Domain Winslow Cool Color Series carries a 50-year limited warranty with an option for limited transferability* and a limited wind warranty of up to 110 mph*, and is UL Class “A” fire-rated.